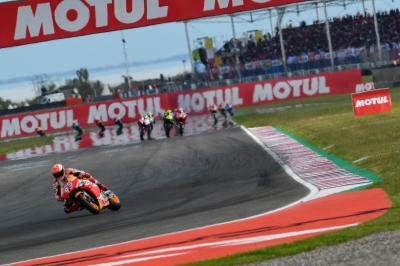 On a track that traditionally hasn’t suited the Desmosedici machines in the past, both Andrea Dovizioso (Mission Winnow Ducati) and Jack Miller (Pramac Racing) are in the hunt for a top result on Sunday afternoon at the Gran Premio Motul de la República Argentina. Dovizioso qualified on the outside of the front row in P3 for the race to confirm his and Ducati’s speed around Termas de Rio Honda has improved from last season. And it’s a result the Italian is understandably pleased about. 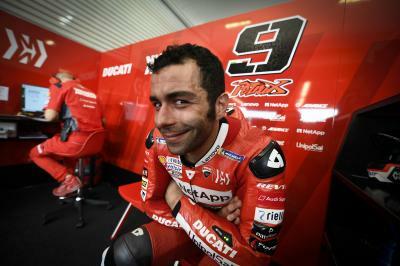 “Very good result but from the first practice the feeling was good. The base of our bike compared to last year was much better. 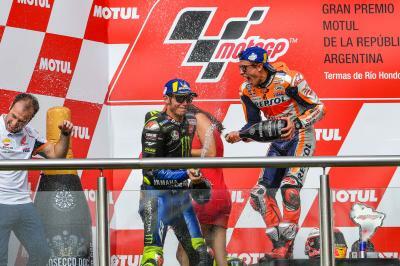 We were able to keep a really good speed and practice by practice I think we’re a bit closer to Marc,” said Dovi, who will aim to ruffle the number 93’s feathers on the opening laps as Marquez starts from pole position. But Marquez isn’t the only Honda Dovizioso is worried about. Cal Crutchlow (LCR Honda Castrol), despite starting from P8 for the race, has looked the likely candidate to take the race to Marquez throughout the weekend. But Dovizioso is confident Ducati aren’t far away. 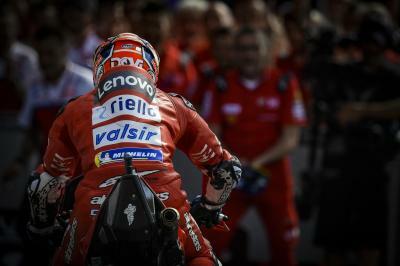 “Cal I think is very, very strong in the race but we are there. This year we have our card to play and let’s see tomorrow, the conditions look worse than these two days so that will affect everybody. And what about Miller? 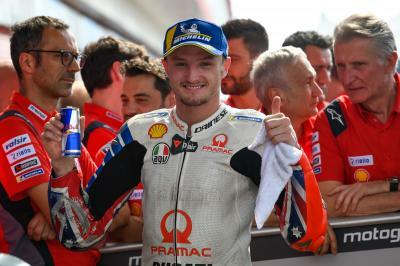 He too has looked one of the strongest riders on track all weekend and is in confident mood heading into battle in Termas. “We have the pace. I was close to getting on the front row but it wasn’t enough today. I tried my best. 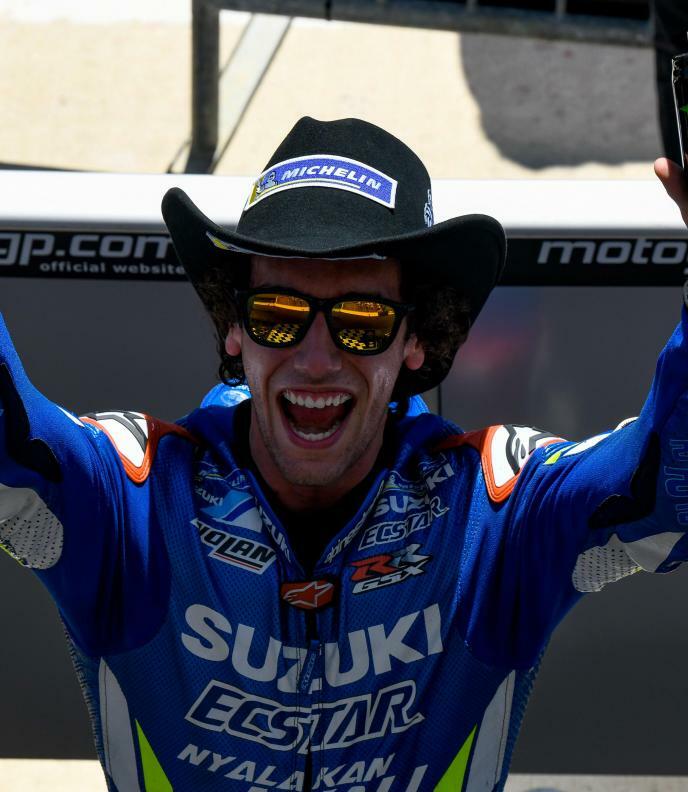 A big moment at turn 11 cost me but I’m happy,” began the Australian. “The bike’s working really well. We were able to do a long run; 18 laps in FP4 on the soft and had good pace. We have to wait and see tomorrow what the plan will be for the race. Marc’s been fast on medium and soft tyres. 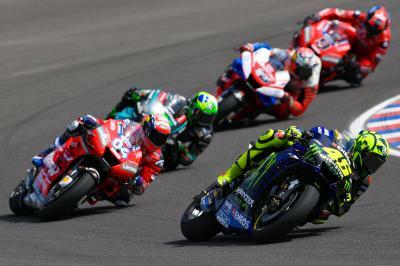 Likewise to Dovizioso, Miller is aware of the threat Crutchlow poses. But can either of them stop Marquez? Rain or shine, it looks like the Ducatis of Dovi and Miller are ready to take the fight to the Hondas. 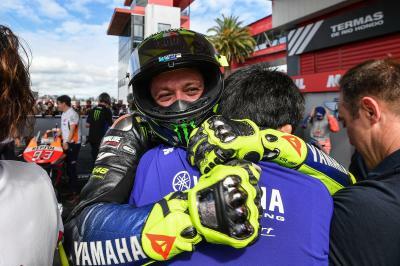 Throw Yamaha into the mix as well as we have ourselves an incredible looking scrap for the win and podium in Argentina. You don’t want to miss the race, so take your seat before the lights go out at 15:00 local time (GMT-3).